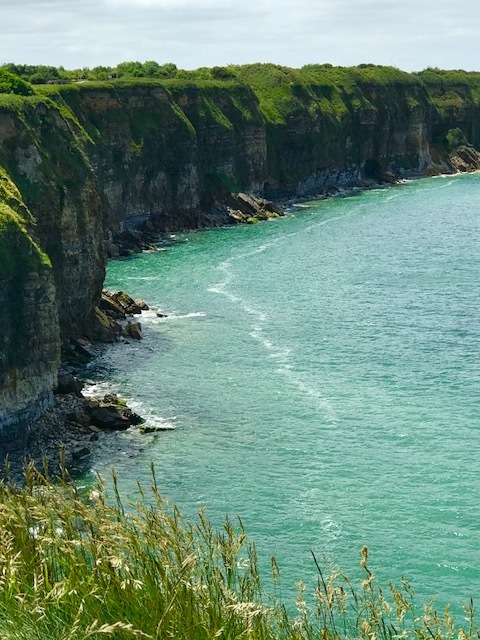 The beautiful but treacherous 8 story high cliffs that the American Rangers had to scale during the Normandy Invasion June 6, 1945. At the Memorial of Caen in Normandy, France. On THE RISE AND FALL OF THE THIRD REICH. Mike Ross Travel.